New Delhi: Auto sales look set to decline in the US, Europe, and Japan in 2008, adding to pressure on global carmakers’ margins, says Standard & Poor’s Ratings Services in its latest “Industry Report Card: Global Auto Sales Slower In 2008, But BRICs Build A Bridge To Growth." These three markets are the largest in the world. "North American industry sales could decline to their lowest level in 10 years in the uncertain economic environment," said S&P’s credit analyst Maria Bissinger in a release issued by the company on 20 December. 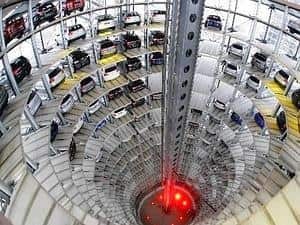 "In Western Europe, sales are being shored up by rising demand in the new EU states, but low consumer confidence and wobbling housing markets are likely to depress 2008 car sales in three of the largest European markets of Germany, the UK, and Spain." The unclear economic outlook in the US is also a concern for Japanese automakers, as the US is their largest market. Only the booming BRIC nations—Brazil, Russia, India, and China—hold some hope for growth for automakers, the report says. "They already represent 20% of global car sales and are predicted to increase strongly by more than 10% per year over the medium term," said Bissinger. German car sales dropped by 8.2% in the first 11 months of 2007 and are likely to continue on a downward trend in 2008, reflecting low consumer confidence levels and uncertainty about future CO2 regulation, leading customers to postpone car-buying decisions. By contrast, the Brazilian vehicle market outperformed all expectations and forecasts in 2007. Vehicle sales were about 1.8 million units, in line with the 1997 peak, driven by solid economic growth over the past two years and a sharp decline in interest rates, which stimulated repressed demand for financed vehicles. The Russian automotive market, too, has been one of the most dynamic in 2007, with demand for imported cars driving growth. According to industry estimates, sales of foreign cars in Russia increased by 63% or 566,715 units through January-November compared with the same period of 2006 and totaled 1,467 million cars. The Indian automotive market is expected to continue to grow at about 15% per year until the end of the decade, while the Chinese passenger-car market is likely to cool to 10-15% rises per year over the medium term. "Growth in the BRIC regions will offset the declines in volumes for global automakers, but cash flows in these regions will be dampened by high capital expenditure requirements and ultimately declining profitability levels as these markets mature," said Bissinger.